50s Coupe Photo Picture Classic Cars for sale & Classifieds - Buy Sell Classic Car & Classic Truck Classifieds. This car looks like it is slowly sinking into the ground. 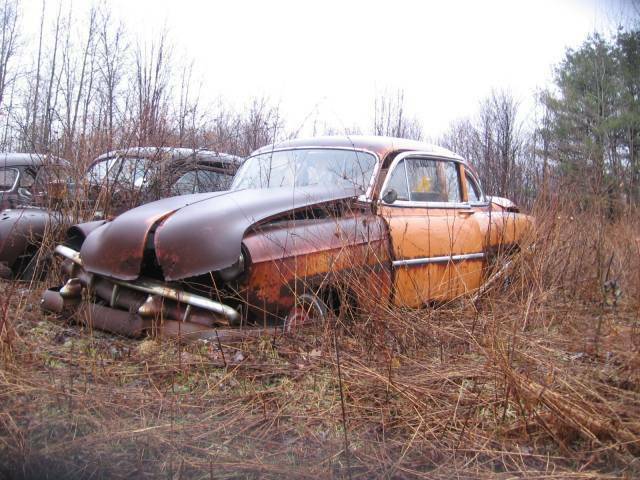 54 Chevy tudor. Sad to see it rot away. Looks like others near it condemned to the same life, or death.